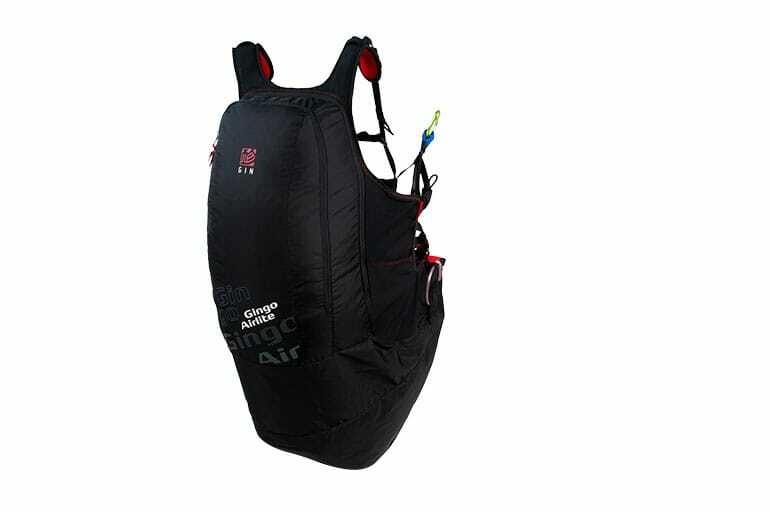 The Gingo Airlite is a lightweight airbag harness for beginners and leisure pilots. At under 3kg, it's one of the lightest, most compact and most aerodynamic harnesses of its type. 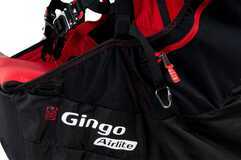 GIN test pilot and World Cup Champion Michael Sigel offers insights on the development of the Gingo Airlite 4. 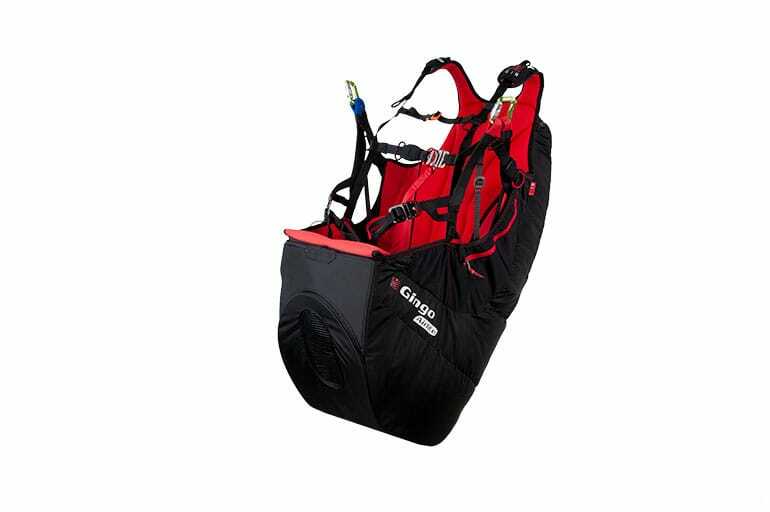 “The Gingo Airlite series has proved one of our most successful harnesses. It’s comfortable, light and offers good protection. With the fourth generation of the harness we have been able to improve on all points even more. Working hand in hand with selected distributors and schools, we spent more than a year to find the perfect harness geometry for this class of harness. The result is remarkable – the harness is not only more stable in all axes, but it is also more precise. In other words, you feel more stable and secure, yet you have better control of your glider. This helps you progress faster, stay longer in the air and have more fun! It is also now easier than ever to slide into the harness after take off and to get out of for landing. The Gingo Airlite stays comfortable even after many hours in the air. Thanks to our own drop test machine, we could work to improve the shape of the harness to be more aerodynamic, whilst retaining the excellent shock protection values of around 20g. The pre-inflation system keeps the airbag in shape, ensuring that the pilot is protected from the very beginning of the flight. A new geometry means the harness is very stable and reassuring, yet allows more precise control of your wing. It offers the perfect balance for the smooth progression of your flying career. The Gingo Airlite is easier than ever to get into and out of during take-off and landings. It’s easy to manage both on the ground and in the air, and stays comfortable even after many hours in the air. With the Gingo Airlite 4, we were able to reduce the volume of the profile without compromising the performance of the airbag. This was achieved thanks to extensive field testing, 3D modelling and our in-house drop test machine. The resulting shape is both more aesthetic and more aerodynamic. 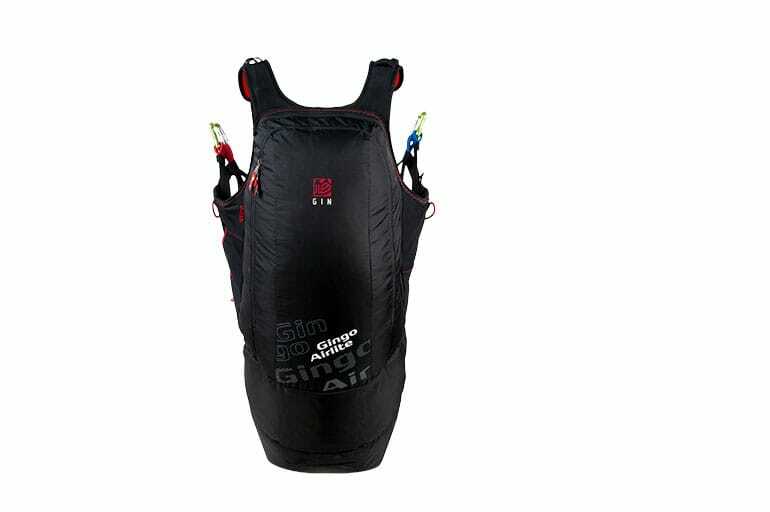 The previous Gingo Airlite was one of the lightest harnesses of it’s kind, and the new version is 500g lighter! The GIN Triplex seat plate has an advanced composite structure which is around 50% lighter than a wooden seat plate yet has greater durability. The outer fabric is light and packable, whilst offering excellent resistance against abrasion and degradation. The highest quality materials are used throughout the harness, guaranteeing a prolonged lifetime of service.